Taking the popular City builder into space, to boldy go where no Anno has gone before! The Future is finally here. 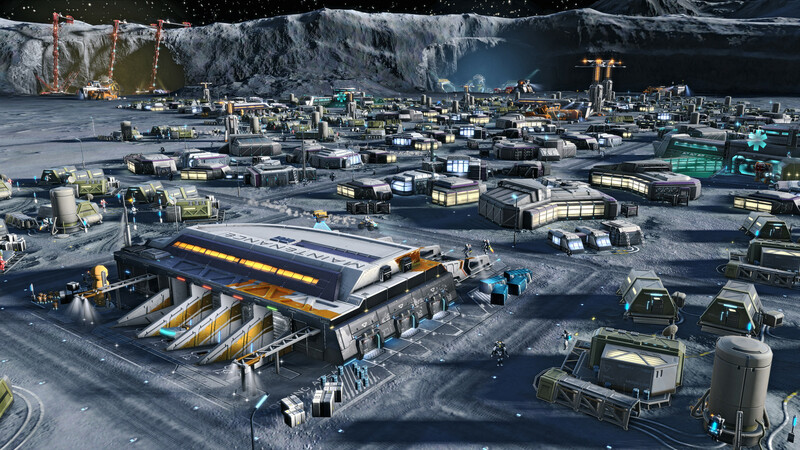 Anno 2205, like the previous entry in the series Anno 2070 let's you once again set up cities, colonies, corporate empire and for the first time in the series - head into space to build on the moon. Players take on the role of a corporation leader with the task of competing against other corporations to prevent them from developering future technology. Eventually you make your way to the moon where gameplay takes an additional challenge as it lacks an atmosphere to support life and you must build asteroid shields and greenhouses to produce food. Reviews seem mostly positive, IGN really enjoyed the enviromental variety you are given with each of the three types of cities, from the main Earth setting to the Lunar pits of the Moon. "The unique challenges of each zone made me think differently, and I enjoyed the variation in aesthetics as I switched between them using the overworld map. It’s almost like getting three, smaller city-builders for the price of one." They also enjoyed the complex economy system the game had, but said the story was a disappointing experience with a wasted opportunity, The story is a poorly written comic book with clear “good guys” and “bad guys,” and no real sense of closure. It was given a 7.0 out of 10. At Gaming Nexus it got a glowing review, giving it a 9.5 and calling it the best entry in the series. 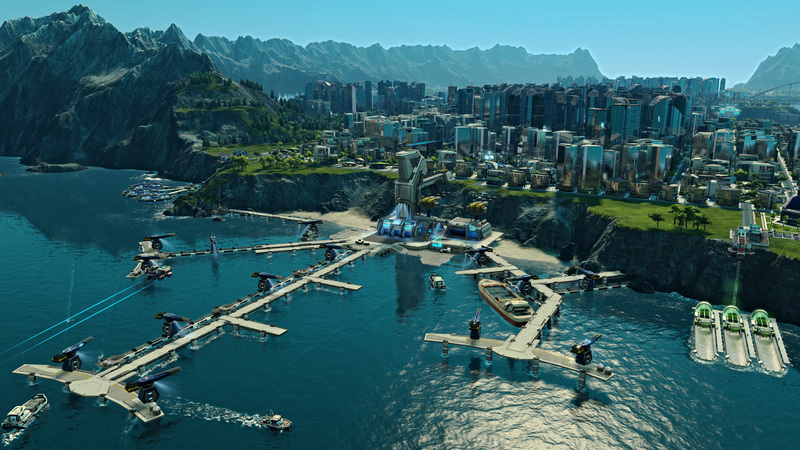 Unlike other RTS games Anno 2205 features a Sandbox mode, that blends both the narrative story campaign as well as the freedom to do things things the way you want. "The narrative takes a backseat, as the core gameplay of building successful cities and colonies is far more interesting than the actual story." Trading routes also open up later in the game forcing you to switch between each of the 3 enviroments at will to offer more variety. "Each of the three environments also fluctuate in their resource needs, which require players to be vigilant about trade routes, and to produce enough of the desired resource by their citizens." All your moonbase are belong to us! GamingTrend found it an easy pick up and learn expierience that doesn't get bogged down by most of the common RTS micromanagement, it's still there but you don't feel lost half the time. 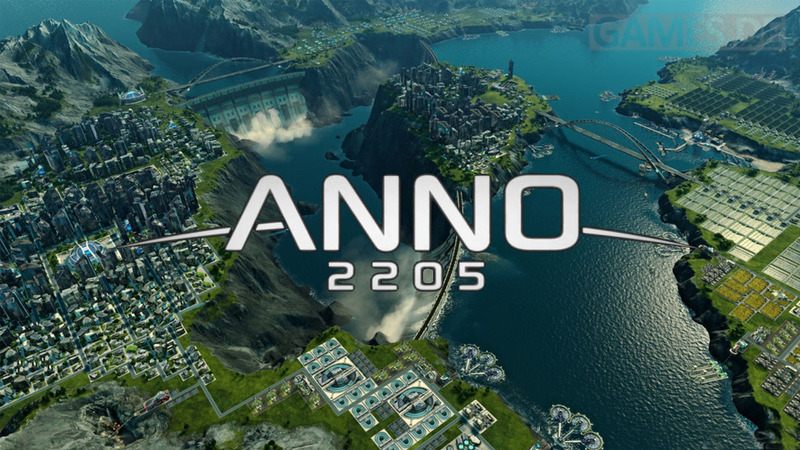 "Anno 2205 is best be described as a gateway drug for city builders. There is enough here for those looking for a challenge, but is surprisingly approachable for newcomers." UI in the game is a bit of a problem at certain moments that it's unreliable and might cause you be frustrated. Combat missions are passable with some lackluster AI making things a bit worse by being unresponsive. The game was awarded 85 out of 100. Finally we have the review from CGMagazine which was given a 7.5. Visually the game is stunning, each of the buildings are a work of art and the enviroments are all fun admire "The vibrant and high-contrast colour palette and excessive use of rich blues and greens make for a relaxing and aesthetically pleasing place to spend your time." Long load times and performance issues were also a disappointment, perhaps these will get fixed in a future patch but even on a high end system certain frame rates dropped quite low. And the biggest complaint is that the game requires Uplay, something not everyone enjoys using. "But as far as disposable games goes, Anno 2205 is one of the most enjoyable I’ve played in a long time." So a pretty good Anno title (if not the best), some performance issues, poor AI, disappointing story and a weak combat system do not hurt the game. With it's beautiful scenery, great economy, freedom to create and a something that's fairly easy to jump into despite the learning curve that most RTS games require make Anno 2205 one of this year's best RTS titles.